The flowering plum tree category provides a vast range of leaf colors, flower colors, and sizes. These ornamental plums are a great addition to most landscapes because of their range of flower colors and tree structures. The purple leaf color of the Thundercloud Plum may be the perfect tree to bring attention to a landscape, or the white flowers of the diminutive Princess Kay Plum will certainly brighten up a dull area. It is, however, a fruitless plum tree, and has become a popular flowering and foliage accent tree. Growing flowering plum trees is both easy and rewarding. 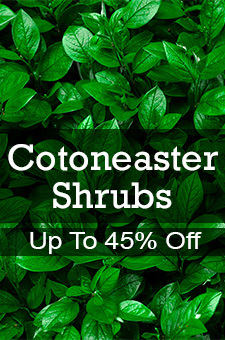 These trees offer gorgeous spring blossoms and serve an ornamental function in the yard throughout the growing season. They are also very hardy and thrive in a variety of soil types. Many ornamental plums will produce small fruits for wildlife. If you are a birdwatcher, plant a Chickasaw Plum in an area by a window so you can view birds as they feed. (Plum trees should not be planted too close to homes or other trees; the roots and branches need plenty of room to spread.) Plum trees are fast growing and most flower very early in their life cycle, so the flowers may be enjoyed soon after planting.  For more information click on the pictures or call Nature Hills at 888.864.7663.